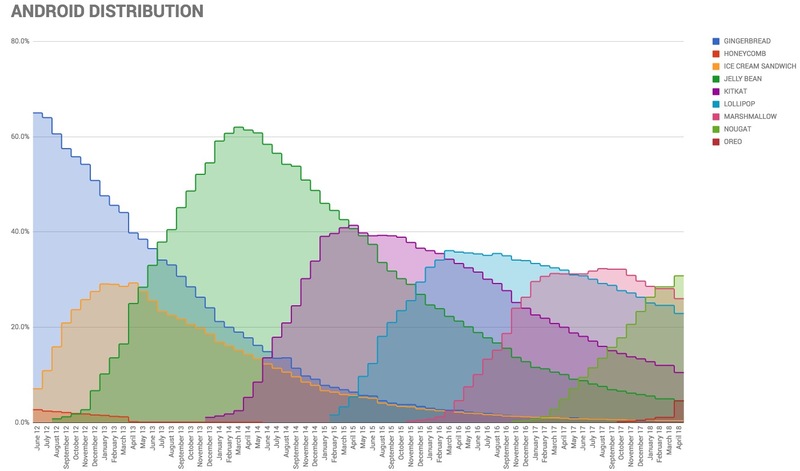 Today, after more than two months, Google has updated the Android distribution numbers that show the percentages for each version of Android still alive in the ecosystem. We aren’t sure why there was this gap, but we are at least happy to report that Oreo’s adoption has had a massive jump since then. Massive, guys. 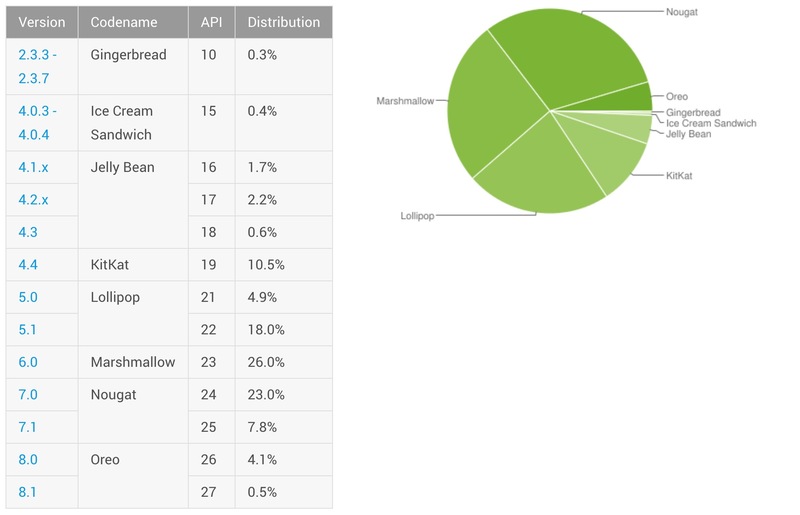 For April, Google shows that Oreo (both 8.0 and 8.1 combined) have reached 4.6% of the Android pie, which is up from the 1.1% back in February. See, massive. For other versions, we’ve got Nougat at 30.8%, Marshmallow at 26.0%, Lollipop at 22.9%, KitKat at 10.5%, Jelly Bean at 4.5%, Ice Cream Sandwich at 0.4%, and Gingerbread still hanging on at 0.3%. Outside of Oreo on the rise, Nougat is the only other version that jumped up (Nougat was at 28.5% in February). All of the other versions saw their percentages drop or stay the same. You can see February’s numbers right here.